The state of Illinois is considering a bill that, if passed, would make it the most “abortion friendly” state in the nation. According to a report by pro-life law firm The Thomas Moore Society, the legislation would legalize abortion through all nine months of pregnancy, for any reason. The bill is known as the Reproductive Health Act, similar to the controversial New York bill that was publicly celebrated by Governor Andrew Cuomo earlier this year. The Illinois bill was announced last week by State Senators Melinda Bush and Elgie Sims, Jr. and Representatives Kelly Cassidy and Emanuel “Chris” Welch at Chicago’s American Civil Liberties Union Headquarters. “As a woman, a mother and someone who has been a long-time supporter of full access to reproductive care, from contraception, abortion, pregnancy and postpartum care, it is time to modernize and update these laws to reflect the equality of women in Illinois,” Cassidy said. The proposed law says that women "who become pregnant [have] a fundamental right...to have an abortion," and "provides that a fertilized egg, embryo, or fetus does not have independent rights under the law of this state." Cassidy’s proposal comes after a pledge by Illinois’ Democratic Governor J.B. Pritzker to “make Illinois the most progressive state in the nation for access to reproductive health care,” his spokeswoman Jordan Abudayyeh said in an email to the Chicago Sun Times. It also serves to repeal the Partial-Birth Abortion Ban Act and the Abortion Performance Refusal Act, which states that a medical professional who declines to refer for or perform an abortion procedure cannot be held liable for damages. The Reproductive Health Act is "an extreme bill that would basically enshrine abortion as a positive good in Illinois law,” Peter Breen, vice president and senior counsel for Thomas Moore, said in a statement, adding that the Democratic legislation would change the prairie state into the "Abortion Capital of America." According to Breen, the 120-page bill removes a number of protections for unborn children, including restrictions on where abortions may be performed, non-physicians performing abortions, and self-abortions. It is one of two initiatives that Democrats are pushing this legislative session to expand “reproductive rights.” The other is known as Senate Bill 1594, which repeals the Parental Notification of Abortion Act. 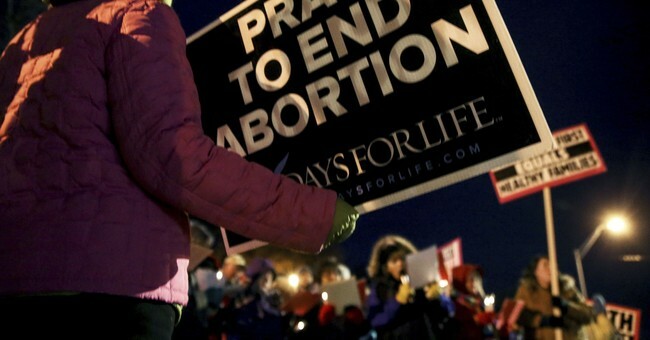 Catholic bishops in Illinois have also spoken out against the extreme legislation.